When I was new to Affiliate Marketing, I totally psyched myself out of it. I signed up for a few affiliate programs, I don’t remember which, and I tried to promote them here and there and not surprisingly, I didn’t do well. (Meaning I didn’t make any sales.) I chalked it up to the idea that I was ‘too small’ to be an affiliate marketer. It was true. I had a small website with small traffic, a small circle of influence and a small amount of patience 😉 Oh – and quite a bit of small thinking! When I entered into my first real partnership, she (Alice Seba) asked if I’d like to split affiliate commissions on the services and products we recommended within the membership. I said ‘Nah’. I thought it wouldn’t be enough money to be worth the trouble. I don’t know how many times I had similar faulty thoughts about it – but I do know it was a full year later that I finally woke up and realized what I was missing out on. I started promoting a few highly relevant affiliate programs like Aweber and those that offered good info products. Of course I dabbled with Amazon too. Amazon never earned me more than $30 a month that I can remember – but the other programs started to produce results… slow at first – very slow – but this time I had more patience. I stuck to it, kept promoting learned from what worked and what flopped. Residual, I LOVE that word! The person (Lynn Terry) who first referred me to Aweber continues to earn commissions on my quarterly payments today. That’s about $70 per year which means she’s up to about $500. Can you imagine how many people she’s referred over the years? I’d love to know what her Aweber checks look like. For myself, I earn about $115 from recommending Aweber every two or three months and that number will surely grow over time. Recommending tools that people will use over the long term is a fantastic residual affiliate opportunity, IF the residual commissions are offered. Things like Email Management and Hosting are ‘must have’ tools for all marketers. Speaking of Hosting, most Hosting company affiliate programs are not residual 🙁 They pay out a lump sum and that’s that. When Nicole Dean and I planned out the Mom Webs Hosting Affiliate Program we knew we wanted to break that mold and offer a residual program. We pay affiliates a 20% commission, residual for the life of the client. When the brother brand, Reliable Webs, was launched it was given the same residual program. 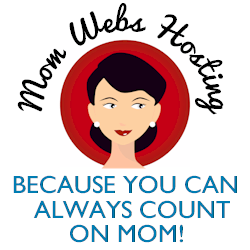 You refer a new hosting customer who signed up for the $10/month multi-domain hosting plan. You earn $2 for their first month payment. Small potatoes compared to the $50-$65 that other programs will pay out to you, right? Ok – well, let’s look at the long term. That customer earns you $24 for the year – and another $24 every year after. (And most hosting clients DO stay for the long term.) If you make my early mistake and only think about the short term, you’ll choose the big bucks fast. But if you’re smart like I am today, you’ll choose the residual option and be earning year after year. This math gets more interesting when the customer you refer chooses our $20 plan or one of our VPS plans. The $20 plan earns you $48 per year. The lowest cost $50 VPS plan earns you $120 per year. Goodness, if you reach people who have multiple websites or those who are ready to invest more to safe guard their web properties – you’d be leaving money on the table to refer them to one of the ‘one payment only’ programs. I’d like to say that I never fall for small thinking anymore – and hopefully I don’t ‘fall’ for it – but I will admit I still have the temptation. This year a terrific new tool came out that I fell in love with. I’m talking about Box Shot King. I bought it after learning about it from David. He did a big promo for it. As soon as I’d used it I knew my people needed it – but I had this little voice in my head, ‘David already promoted it so heavily… it probably isn’t worth your time – everyone who would be interested already knows…‘ (Small thinking!) Thankfully I shook those dumb thoughts off and went ahead with my own promotions. I’m glad I did – the affiliate checks from ClickBank that followed have been very welcome! Ready to Boost Your Affiliate Income? I sure hope so! I know I am. I’m going to shake off the ‘oh but so many other people are promoting it‘ small thinking that I’ve been guilty of and just go for it – like I did today. Today it brought me an extra $150 – tomorrow who knows? Seek out new programs. Ask around your niche and find out who your contemporaries are earning from. Go back to the programs you’ve earned from in the past. If you made one sale, you can more more. Or as Connie Ragen Green put it in my Hot Seminar Series, ‘I knew if I could make one sale, I could make 100,000!‘. Be creative and be purposeful. Affiliate marketing in your sidebar will never work like you hope – you have to specifically promote the tools and resources that you believe your people need. I held a live webinar to show Box Shot King off and continue to make videos to show what I’m using it for. If you’ll go the extra mile, you might surprise yourself! If you’ve dismissed affiliate marketing in the past, will you give it another go? Kelly McCausey is a internet marketer, podcaster and online business coach. She is passionate about helping solopreneurs cut their learning curve and create profitable online businesses. Visit her on the web at Solo Smarts.